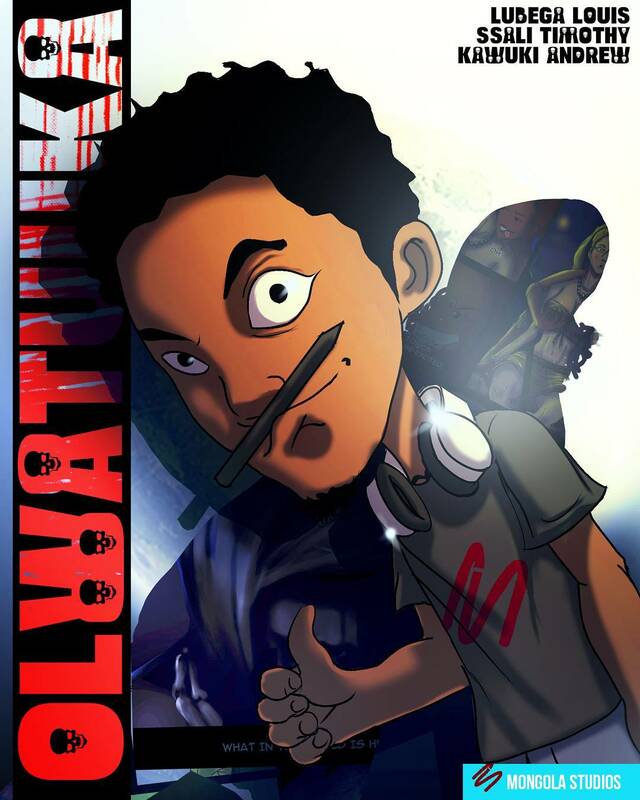 LOUIS LUBEGA (Master Rui) is a Ugandan writer, illustrator and painter best known for his on-going dark fantasy webcomic, OLWATUUKA (Once Upon A Time). His webcomic OLWATUUKA which explores death, demons and glorious rebirth sets the tone for most of his work. Louis’ illustrations, just like his webcomic are mostly dark, haunting, imaginative, mysterious but very fun to appreciate. We had a moment with Louis Lubega down the Squid Alley sometime last year. What follows is our dialogue. A pen and tablet ( I am currently using the Huion 1060 plus pro), Photoshop, Manga Studio, any pair of headsets ready for some intense hours of music. A pencil, pen, brush, watercolour and paper when I am working traditionally. KaDi man, whenever I think about how much the western world with DC, Marvel, Darkhorse, Blizzard Ent etc. and the eastern world with Shonen Jump, Toei Ent, Capcom etc. have achieved with comics, games and animation, I get goose bumps! So I am fired up to be part of the pioneers of something that big one day here in Africa by doing what I do best, DREAM and CREATE! Gosh,there’s lots of challenges in life: mosquitoes, bad debtors, stalkers, pests and diseases. It’s really hard for me to put any above the other. 4. What’s been your favourite and the most fun piece you’ve ever worked? Her name is JEN. While I was working on that sci-Fi piece, it reminded me a lot of that unrequited love that we all experience. Rock On, Coldplay, System of a Dawn, Phantogram, Muse, name it. I usually play hard rock when drawing battle scenes and soft music when tackling a calm scene. Music really helps me concentrate. Hang out with friends when i can, listen to podcasts,watch anime and read manga. I also watch series (Game of Thrones), singing in the mirror like everyone else, play football and lastly daydream! 7.​ You have 24hrs in the Squid Time Tunnel to change something about your past. What would it be and why? Nothing really at the moment. I believe I am who I am today because of the many mistakes I made. I mean, if I took the bait and travelled back in time to slap my sixteen-year-old self on the right cheek, then left, then right again to stop spending ungodly hours fantasising about that one girl and draw, it still wouldn’t make me a better artist or person today. I wouldn’t have given birth to the JEN piece or the OLWATUUKA webcomic with Kawuki Andrew. ​8. 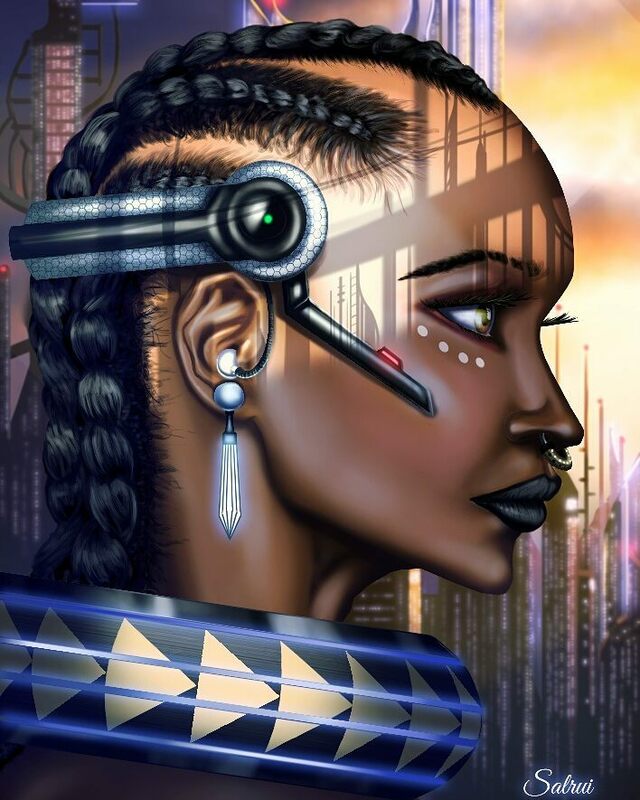 What’s your hope for African comics, games and animation in the next 3 years? African countries like my birthplace, Uganda have run out of job opportunities for creatives and youth in general. Some degrees pretty much mean nothing anymore. I see the comics, games and animation industry like a sleeping opportunity for Africa that could employ thousands of people as Background and Storyboard Artists, Distributors, Voice actors, Marketing managers, Musicians etc. I hope it would have woken up by then. For various reasons, I’ll start with Ssali Timothy of triumphant Studios and Director of Kara Arts. Who refuses to crack a smile when South African Comedian, Trevor Noah is in the house? Elon Musk of Tesla Motors and Space X; well this guy is taking us to Mars. How cool is that?! 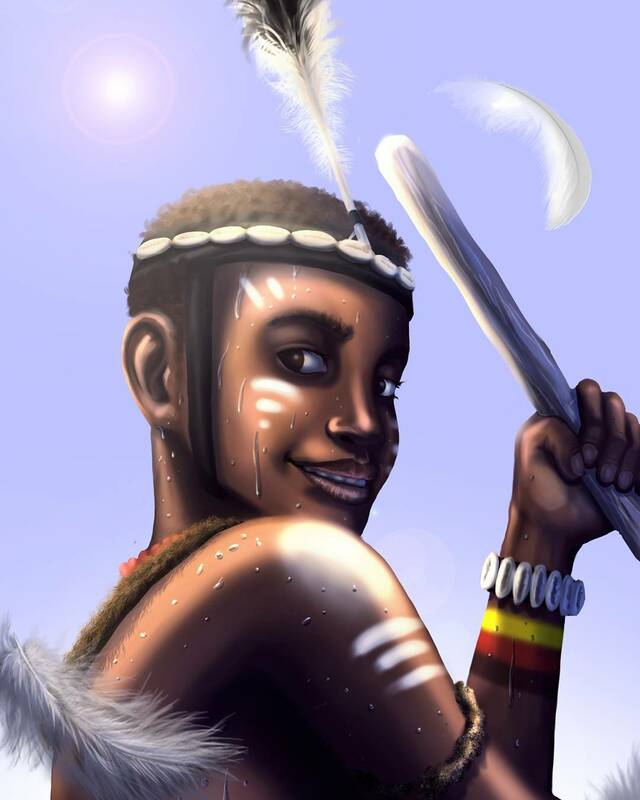 Read OLWATUUKA (Once Upon a Time) on Webtoons and Kibuuka on Tapastic. See more of Louis Lubega (Master Rui’s) work on Instagram & Facebook.